The Pure Garcinia Cambogia Extract Plus Detox Cleanse System is a combination of two products, which taken together are intended to help those with 10 or more pounds to lose. 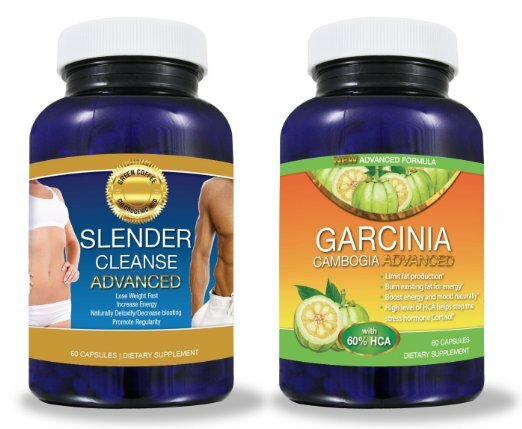 Unfortunately, one of the ingredients in the cleansing product caused a flareup with my Crohn's Disease, and I had to stop taking these before seeing any positive results from the combination. I didn't know for sure what had happened until doing a bit of research on some of the all natural ingredients in this product. I can't fault the product for my problems since they did include a disclaimer that anyone with a known medical condition should consult a physician before using this or any dietary supplement. Aside from what I have already mentioned, I had no problems with these. They were easy enough to take, and quite possibly would have worked for someone without medical conditions. Although the combination did not work out well for me, it may work very well for others. I will be discussing this with my doctor, and if he gives his approval I may try just the one product to see if it will help on it's own without the detox part. I will only attempt it with his approval though, and I suggest that anyone else who might be considering this type of product to check with their doctor before taking, and hopefully avoid the consequences.